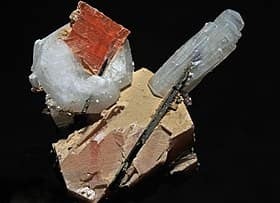 The Lizzadro Museum of Lapidary Art is holding its popular Rock and Mineral Identification class on Saturday, January 19 at 10:30 a.m. Led by Geologist Sara Kurth, you’ll learn how to identify various minerals and rocks based on their appearance as well as through hardness testing. This class is appropriate for anyone ages eight and over who is interested in learning more about rocks and minerals. At Elmhurst Toyota, we appreciate all the community classes held at the Lizzadro Museum. Whether you’re a teacher or the parent of a child with a rock collection, this class will help you and your kids learn the basics of rock and mineral identification. In class, you’ll learn how to tell a rock from a mineral. Examples will be provided for you to look at, touch and test. There are more than 5,000 different naturally-occurring minerals on planet Earth, which can be identified by how they look as well as their chemical and crystal structure. This means that one mineral, such as an emerald, will be chemically identical to other emeralds, even man-made ones. Rocks are made up of one or more minerals and have different properties based on how they were formed. The class also makes use of the Mohs’ Hardness Scale to identify minerals. This scale is based on the scratch-resistance of different minerals and was developed by German scientist Frederich Mohs in 1822. The hardest mineral is a diamond, which is able to scratch every other mineral if enough pressure is applied. Although you won’t be using a diamond to do your scratch tests in class, you will learn how the hardness of different minerals can be used as an identifying feature. The Rock and Mineral Identification class can be used to meet requirements for scout merit badges, and groups are welcome to attend. The admission fee of $8 per person includes all materials and 75 minutes of instruction time with a geologist. Please note that children must be accompanied by an adult. Seating is limited and advance registration is required, so reserve your spot today by calling 630-833-1616 or emailing educator@lizzadromuseum.org. Saturday, January 19, 2019, 10:30-11:45 a.m.
Museum members may attend for free.